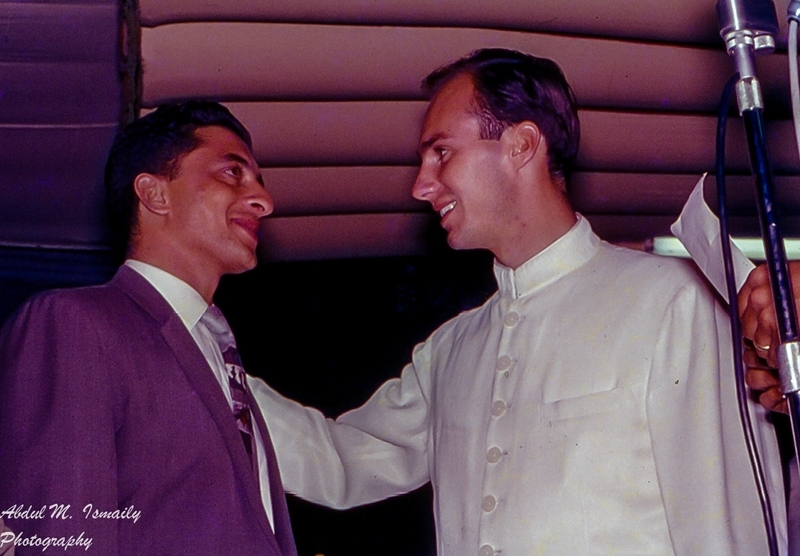 Editor’s Note: Our multi-part series of photos of His Highness the Aga Khan, Mawlana Hazar Imam, taken by the late Abdul M. Ismaily, lovingly known as “Papa Jaan,” continues with this post containing photos captured in Uganda. 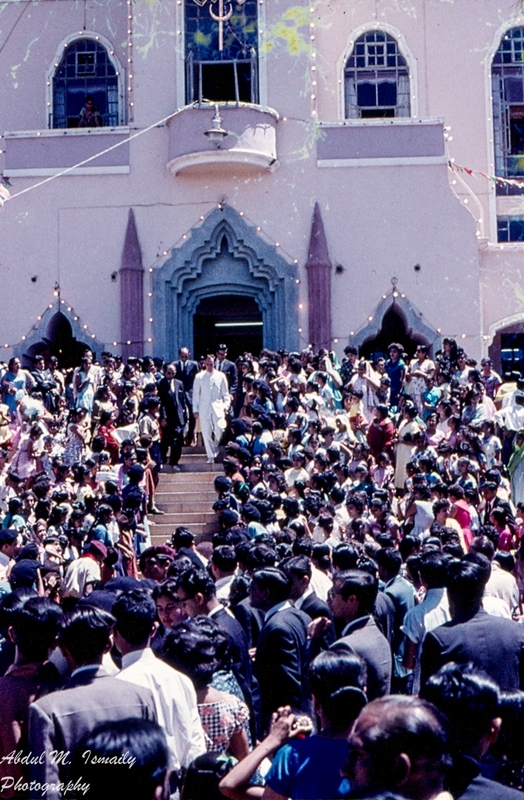 The late Mr. Ismaily’s photos have never been seen before, and thousands of readers from across the world were overjoyed to see photos of the 49th Ismaili Imam’s historical first visit to Hunza in 1960. To view the complete Hunza collection, please click on the link at the end of this post. Ismailis await the arrival of Mawlana Hazar Imam, His Highness the Aga Khan, on the steps of the Kampala jamatkhana. Photo: Abdul M. Ismaily. Copyright. We express our thanks to the Ismaily family for their generosity, and appreciate the efforts of our regular contributor, Mr. Muslim Harji, for facilitating the publication of the “Papa Jaan” collection on this website. 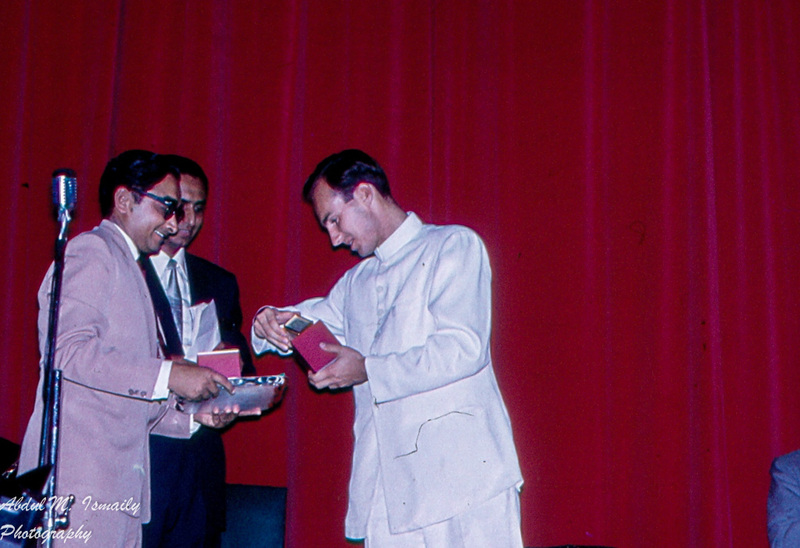 Part 3, to be published during the week of February 21, will have photos of Mawlana Hazar Imam’s visit to Pakistan. 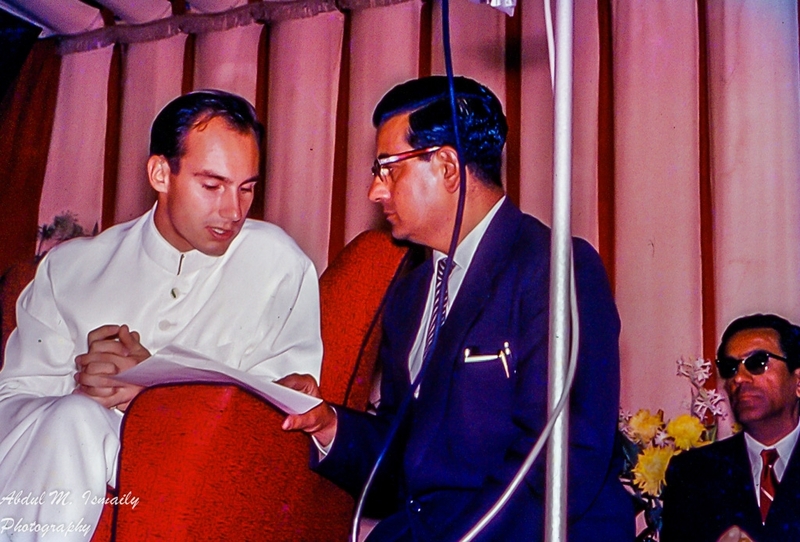 A note on captions: Many of the captions are incomplete or may need revisions, and we invite readers who are familiar with details of Mawlana Hazar Imam’s visits to Uganda to submit specific dates and places where the photos were taken, as well as name the individuals we have not been able to identify. Your contribution will ensure that the captions accurately reflect the visits made by Mawlana Hazar Imam to East Africa and other countries. Please send the details to simerg@aol.com or submit them through the comments box at the end of this post. Mawlana Hazar Imam, His Highness the Aga Khan arriving at Kampala’s Entebbe airport. 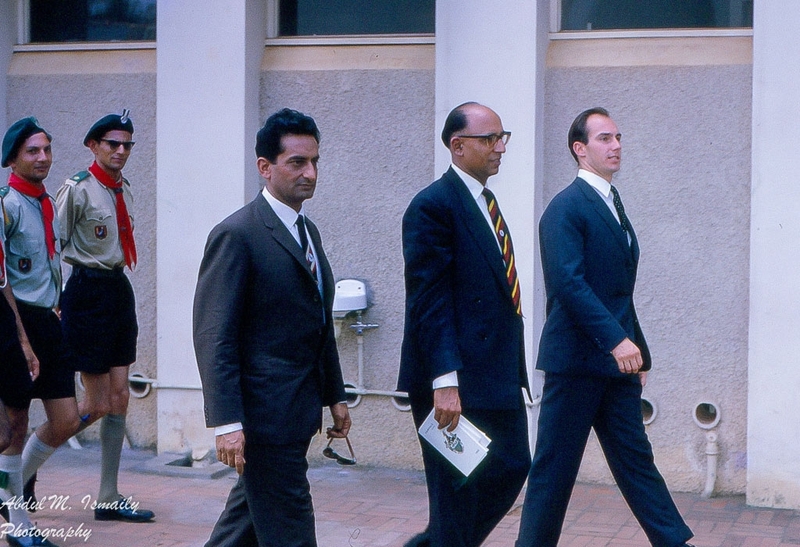 Ismaili institutional leader, Hassanali Lalji, can be seen in the background. Photo: Abdul M. Ismaily. Copyright. 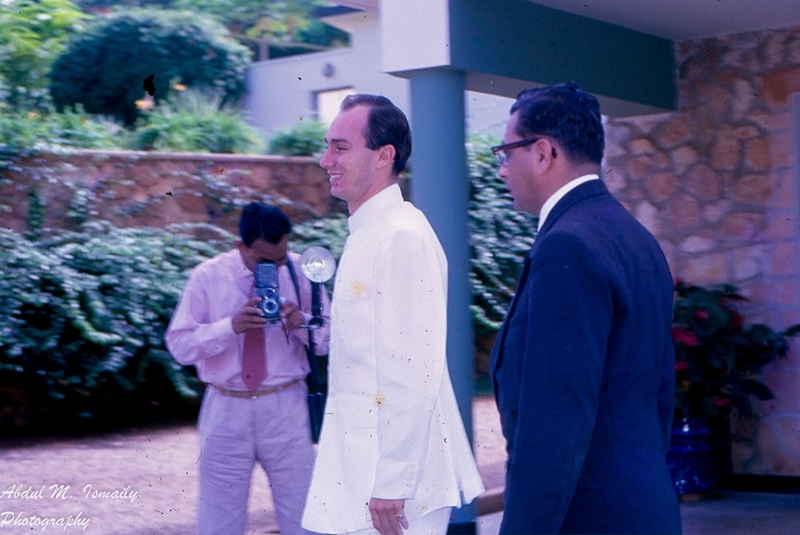 Mawlana Hazar Imam, His Highness the Aga Khan, leaving his residence in Kampala. Photo: Abdul M. Ismaily. Copyright. 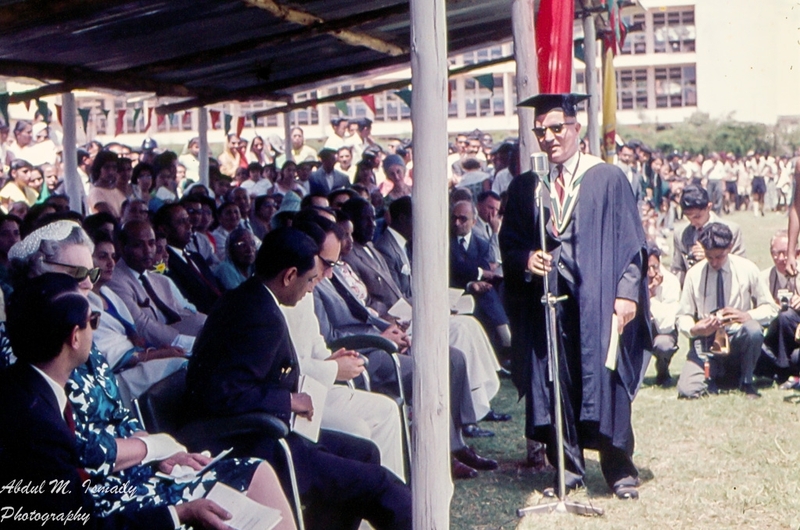 Mawlana Hazar Imam, His Highness the Aga Khan at Kampala’s Aga Khan Secondary School, accompanied by Malik Kassam Lakha and Tajdin Alibhai. They are followed by scout leaders Didu Magan Mawji and Sadru Issa Popat. Photo: Abdul M. Ismaily. Copyright. Mawlana Hazar Imam, His Highness the Aga Khan, is welcomed by Principal McCourt in a speech at the Aga Khan Secondary School. Photo: Abdul M. Ismaily. Copyright. 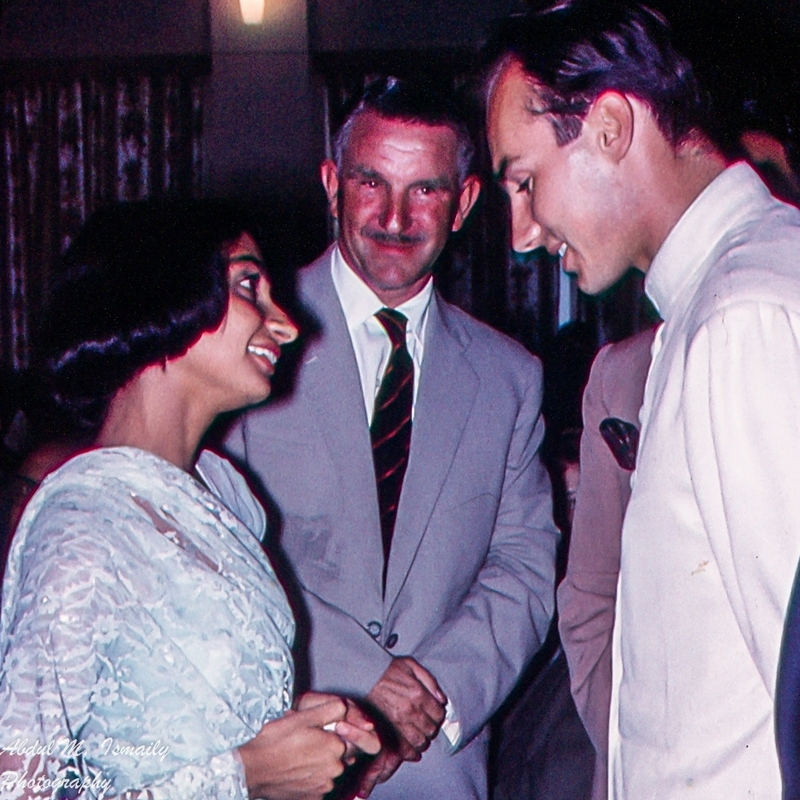 Mawlana Hazar Imam, His Highness the Aga Khan, meeting school teacher Miss Dhanani, with headmaster Mr. Roberts and Principal McCourt looking on. Photo: Abdul M. Ismaily. Copyright. 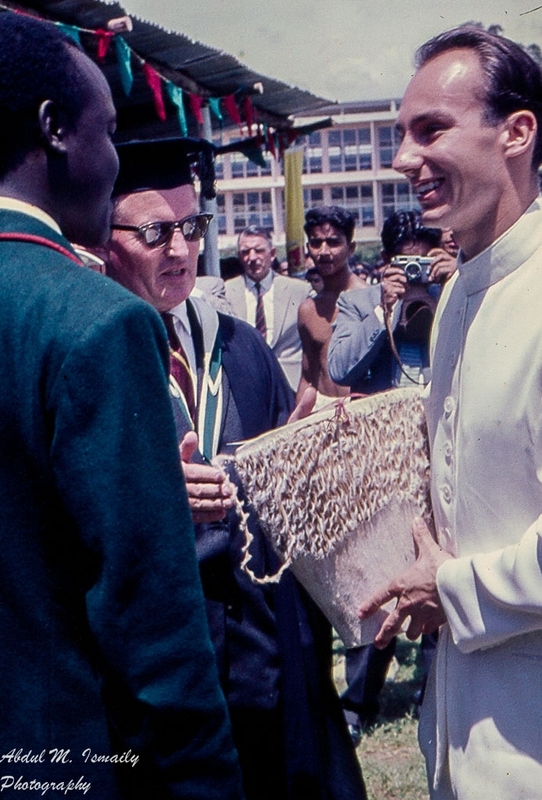 Mawlana Hazar Imam, His Highness the Aga Khan is presented with a gift of an African drum by the head prefect of the Aga Khan Secondary School, with Principal Mcourt looking on. Photo: Abdul M. Ismaily. Copyright. 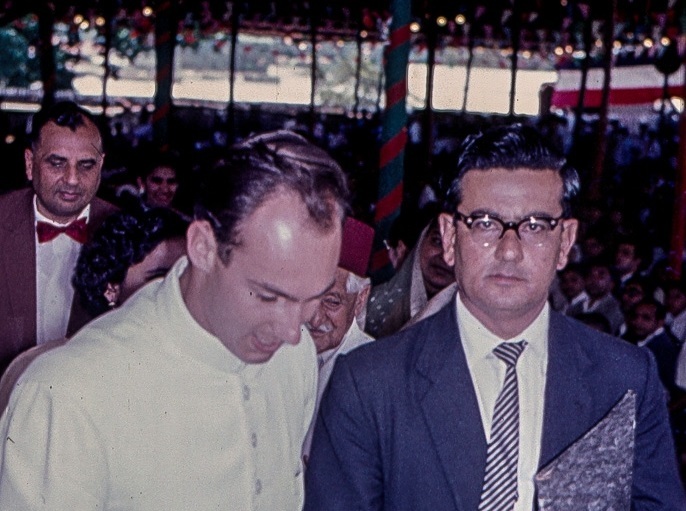 Mawlana Hazar Imam, His Highness the Aga Khan, accompanied by Mehboob Dhanani and Pyarali Bhimani, at the foundation ceremony of the Aga Khan Sports Club, Kampala. Photo: Abdul M. Ismaily. Copyright. Mawlana Hazar Imam, His Highness the Aga Khan, at Kampala jamatkhana. Photo: Abdul M. Ismaily. Copyright. 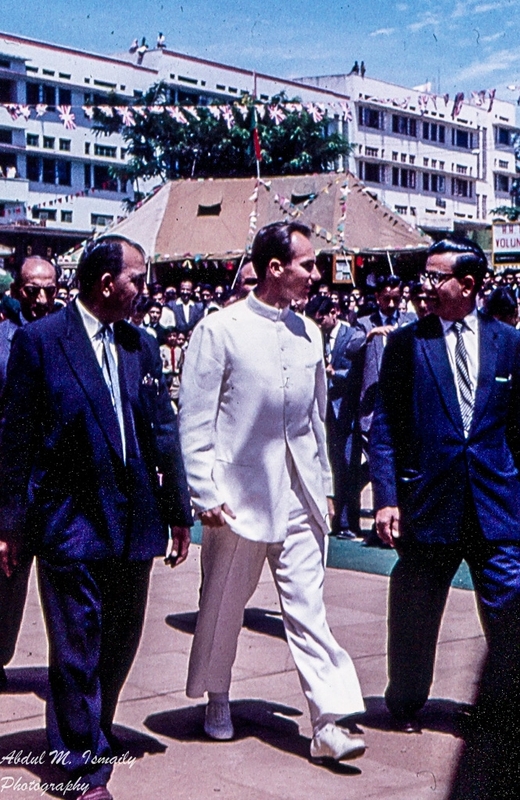 Mawlana Hazar Imam, , His Highness the Aga Khan, is escorted by Mukhi Kassamali Virani (left) and Kamadia Vazir Abdulalli Motani of Kampala jamatkhana upon his arrival to meet with his Ismail followers. Photo: Abdul M. Ismaily. Copyright. 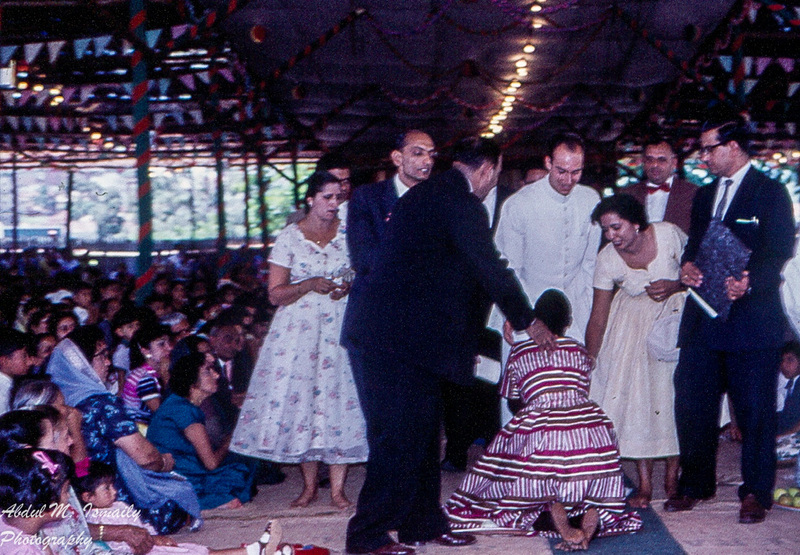 A follower of Mawlana Hazar Imam, His Highness the Aga Khan, thought to be a new convert, falls at the feet of her beloved 49th Imam as he enters a temporarily erected structure (or mandap) to meet with his Ismaili community in Kampala. Photo: Abdul M. Ismaily. Copyright. 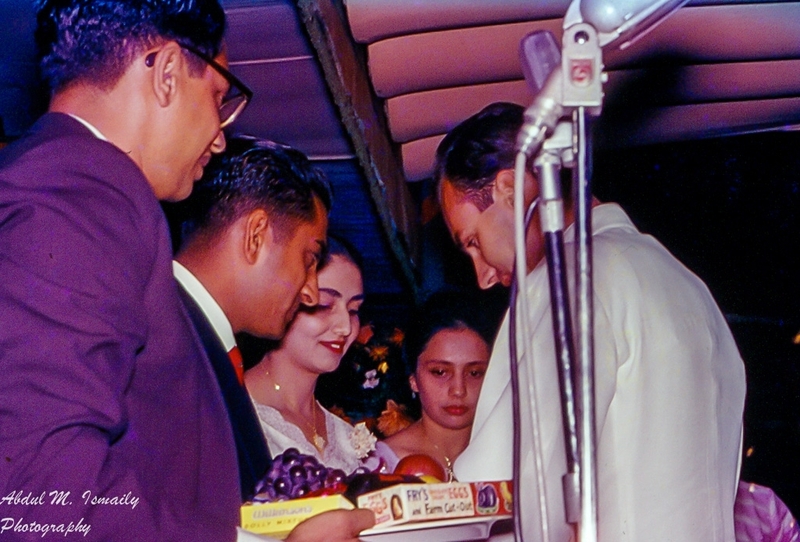 Mawlana Hazar Imam, His Highness the Aga Khan, admires a gift presented to him on behalf of the Uganda Jamat by Ismaili leader Rai Pyarali Nanji, with P. K. Pirani looking on. Photo: Abdul M. Ismaily. Copyright. 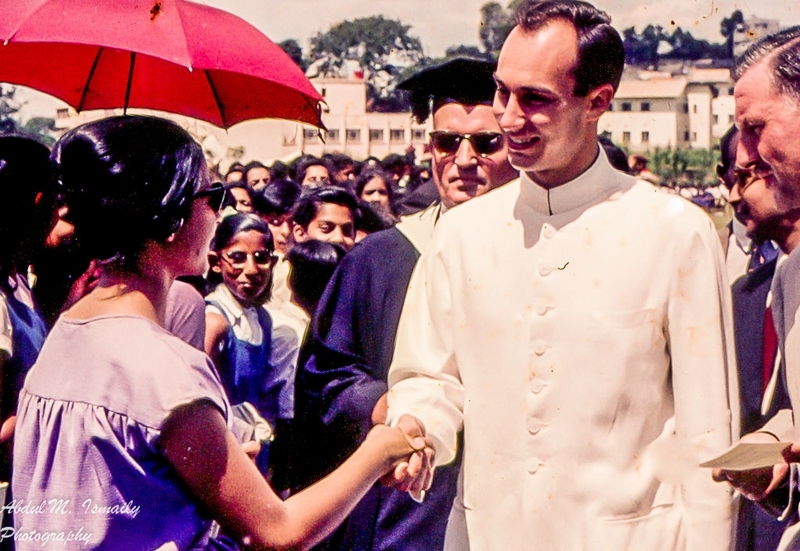 Headmaster Roberts of the Aga Khan Primary School introduces Mawlana Hazar Imam, His Highness the Aga Khan, to Amy Patel (AP), a teacher at the school. Photo: Abdul M. Ismaily. Copyright. Mawlana Hazar Imam, His Highness the Aga Khan, is introduced to his institutional leaders in Uganda. Photo: Abdul M. Ismaily. Copyright. Mawlana Hazar Imam, His Highness the Aga Khan, with Kamadia Vazir Abdulalli P.L.Motani at the mandap (temporary structure) where the 49th Ismaili Imam granted an audience to his followers. Photo: Abdul M. Ismaily. Copyright. 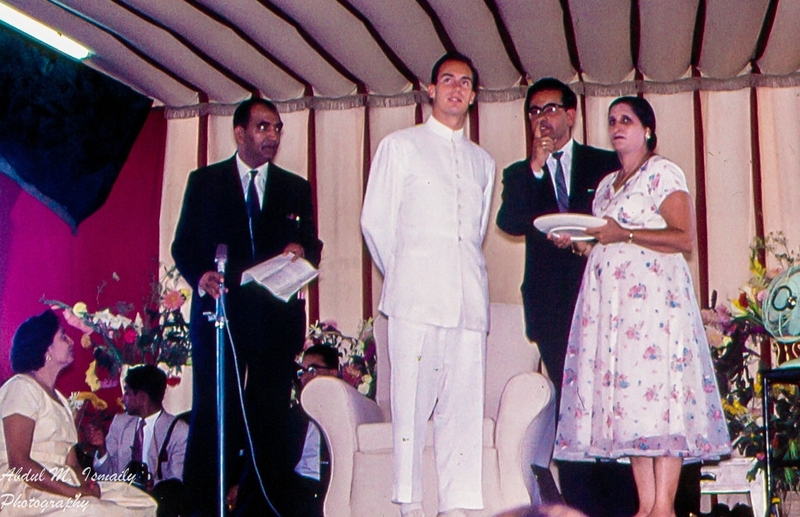 Mawlana Hazar Imam, His Highness the Aga Khan, with his jamatkhana officials, Mukhi Kassamali Virani (on left) and Kamadia Vazir Abdulalli and Kamadiani Fatema Motani (on right). Photo: Abdul M. Ismaily. Copyright. 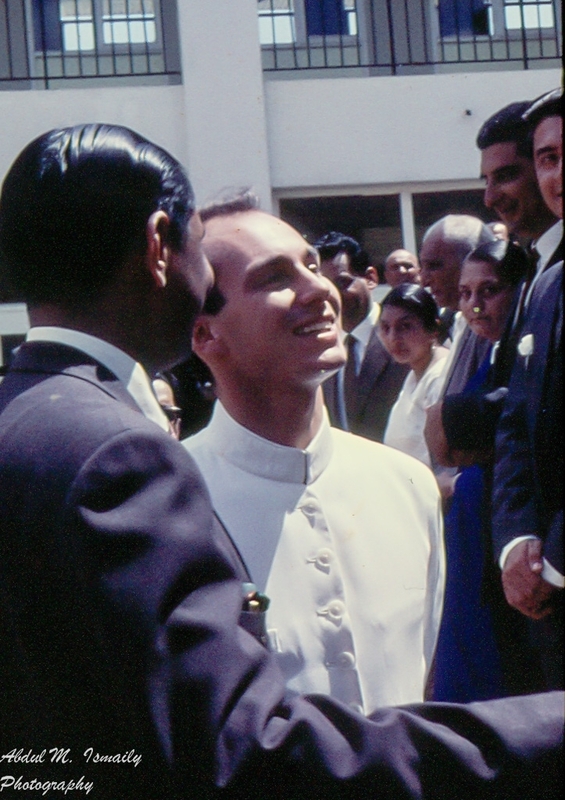 Mawlana Hazar Imam, His Highness the Aga Khan, converses with Jamatkhana official, Kamadia Vazir Abdulalli Motani, during a visit with his Ismaili followers. Photo: Abdul M. Ismaily. Copyright. Mawlana Hazar Imam, His Highness the Aga Khan, meets a newly wedded couple during an audience with his Ismaili followers in Kampala. Photo: Abdul M. Ismaily. Copyright. Mawlana Hazar Imam, His Highness the Aga Khan, blesses Mr. Abdul Gomba during his visit with his Ismaili followers in Kampala. Photo: Abdul M. Ismaily. Copyright. 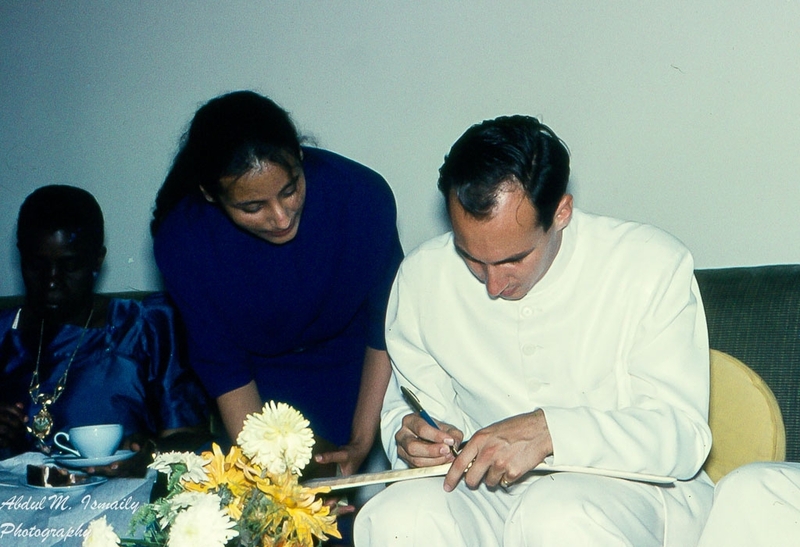 Mawlana Hazar Imam, His Highness the Aga Khan signs an autograph for Roshi Dhanani. Photo: Abdul M. Ismaily. Copyright. Date posted: February 14/15, 2016. Previous installment: Exclusive: Photos of Mawlana Hazar Imam’s 1960 Visit to Hunza by the Late Abdul M. Ismaily (“Papa Jaan”). Most memorable photos! Thank you for sharing. Such a joy to see this collection; I was born in Kampala, but grew up in the then Tanganyika, and Kenya. I remember waiting outside the Mwanza jamatkhana to see H.H. 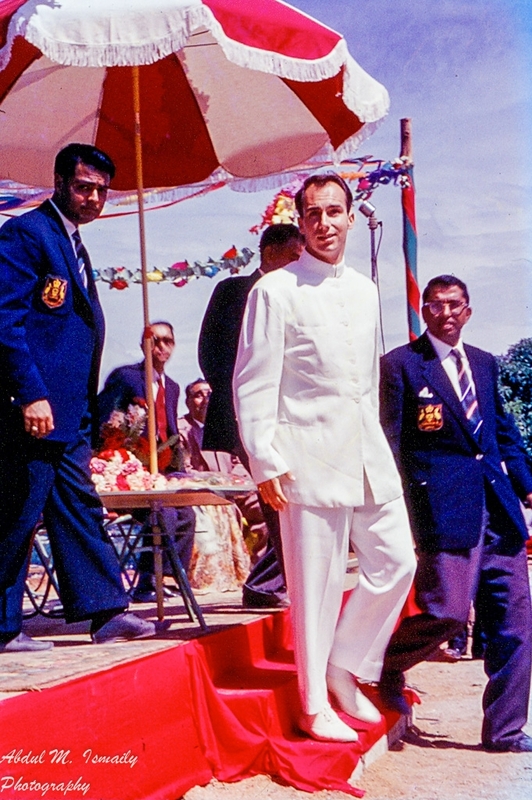 The Aga Khan, in 1940s. Thanks to Papa Jaan’s family for preserving and sharing these historical images. Thank you all, for this wonderful experience. Kersi Rustomji, ex East Africa, Australia. Thanks very much for bringing back old but golden memories from 1960 of Kampapa. The photos refresh everything as if it was just yesterday. My brother was living in Masaka and I was in Kampala working with Varas K.Virani, the Mukhi with Kamadia Motani. I was in volunteers group and Rai Pyarali Nanji along with P.K.Pirani had presented gift to Mawla. Also, I was employed by Mukhisaheb Vazier Kassamai Virani as an accountant Well done to late Abdulbhai and his family for saving these photos. May his soul rest in eternal peace, ameen! Now we live in London. time she was Nasim Halani. Ahhh, tant de “Ahhh !” et de “Ohhh !” !! Mille mercis pour ces merveilleuses photos ! Que Mowla Bapa vous permette de toujours demeurer aussi généreux dans le partage de belles photos comme celles-ci ! Ameen. For those non-French speakers, here is a English translation of nazinekarmali’s comments “Ahhh, both of “Ahhh!” and “Ohhh!”!!!!!! Thousand thanks for these wonderful pictures! That Mowla BAPA allows you to always remain as generous in the sharing of beautiful photos like these! Ameen.”. These are great historical photographs. 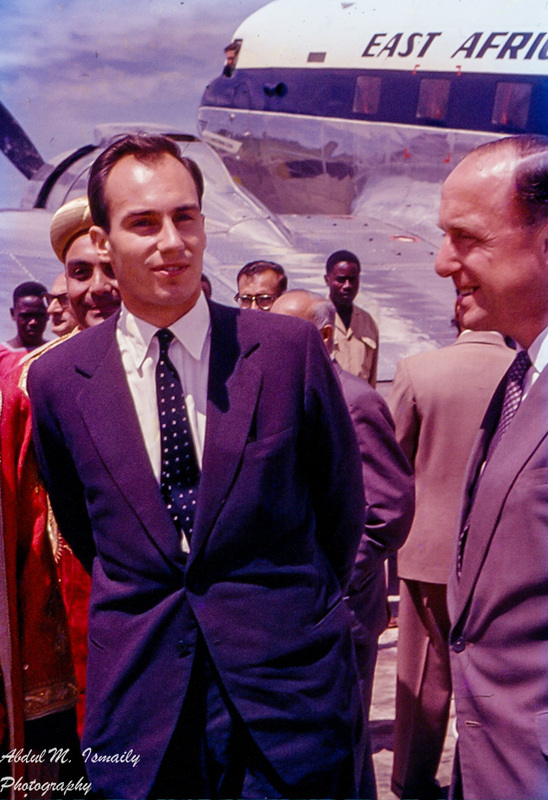 I was only 11 then, but I clearly remember Mawlana Hazar Imam’s visit to Kampala in 1960. I was a Boy Scout, so might have been in my uniform. I enlarged the 1st photo to see if I could recognise anyone, but after 56 years, it was too much to hope that I might remember any faces. But I can vaguely remember faces in the other photographs. Well done to Papa Jaan’s family for saving these photographs, and for allowing them to be placed on this website.